Human beings are wired to belong. From a newborn’s simple need for skin to skin contact, to the complex process of finding a reliable friend group in college, we need one another to make it through this world. That isn’t just squishy psycho-babble—living in isolation is actually bad for our brains. There’s a term for how this dynamic works itself into an individual’s life. It starts in the crib and continues through our entire lives. It’s how we learn what it sounds, looks and feels like to inhabit a particular culture. It’s called socialization, and it’s the way we come to belong in a community. OK, but what does that have to do with online community? All business is social business, even though not everyone’s trying to accomplish some great humanitarian goal. As Seth Godin writes, every business is social in the sense that businesses are accountable for the impact they have on communities of people. Because every business is social. The folding of new members into an online community is a microcosm of the socialization process (see more below). The only difference is that instead of taking on the language, customs and manners of the people around us, we do it across the globe by means of digital technology. 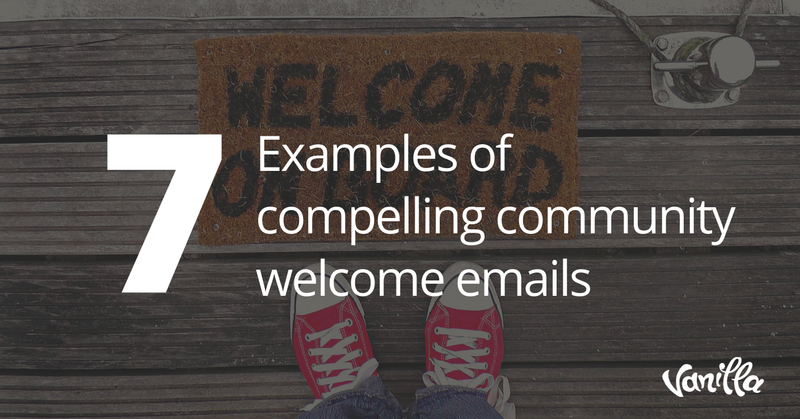 Successful community managers get how that works—how people come to belong as part of a social group. Moreover, they understand how socially formed identity motivates different members of the community to act in certain ways. In this post, we hope you understand just how powerful socialization can be in your online community. The goal is to leave you with a firm grasp of the intangibles that go into making your community a place where people want to assimilate and belong. On top of that, we’ll suggest a few concrete ways to transform your community into exactly that kind of place. The result? Stronger and more reliable growth rates, increased engagement and a better all-around experience for everyone involved. But before we start, a little transparency: we're not sociologists. So consider this an educated layman’s attempt to take a small bit of social theory and use it to enrich the way we design online communities. We’re all born with a cultural tabula rasa—a clean slate ready to be drawn on by the events and experiences of our upbringing. As we hear our parents speak and we observe the ways in which our cultures work, we figure out how to live as a part of this society. 1. Language – Even from within the womb, babies hear and pick up on language from the voices around them. As children develop over time, they not only learn the vocabulary and grammar of their native tongue, but also the linguistic patterns and norms that go with their particular subset of culture (think of a native Floridian’s accent compared to that of a New Yorker). These patterns do far more than influence the words people use; they shape the way they filter the world and process thought. 2. Roles – What does it mean to be a man or a woman, husband or wife, mother or father, priest or a poet? We don’t need to posit any metaphysical answers to those questions here. What we can do, however, is acknowledge that these roles and all their particulars are hashed out differently in different communities, and that they are learned as people are socialized into that culture. For good or for ill, people learn what it means to fill certain roles (husband, mother, neighbor) by following the examples of others around them. 3. Moral and Behavioral Norms – Setting aside the question of moral absolutes—whether they exist and transcend culture—even our basic sense of acceptable behavior is socially constructed. Take something as banal as tipping your waiter. In most European restaurants, that expectation simply isn’t there. Stiff your waiter in an American restaurant, on the other hand, and you’ll be found guilty of an unforgivable sin. 4. Vision of the Good Life – What it means to ultimately succeed in life is another product of socialization. For an American, you may have learned from advertising and the example of others that your goal in life should be to save enough money to retire and travel the world. In an Eastern religious context, on the other hand, you may have learned that your highest aim in life should be to renounce every one of your worldly possessions and recede into a life of complete asceticism. What in the world does all this have to community management? Great question. Keep reading. As I mentioned at the outset of this article, integrating into an online community looks a whole lot like socialization. The four general areas we looked at above are very much at work in the ways people relate to each online. Let’s now look at these same four areas from the context of an online community. 1. Language — When you join an online community, you can’t help but take on the vocabulary and patterns of speech prevalent among your peers. Examples of this are everywhere. Jump on a forum for new parents and your eyes will quickly glaze over from all the silly acronyms people use to designate their family members (example: DH = dear husband). Connect with a bunch of CrossFitters on Facebook, and you'll see people talk about Boxes, WODs, and AMRAPs. Over time, you’ll start doing it too. 2. 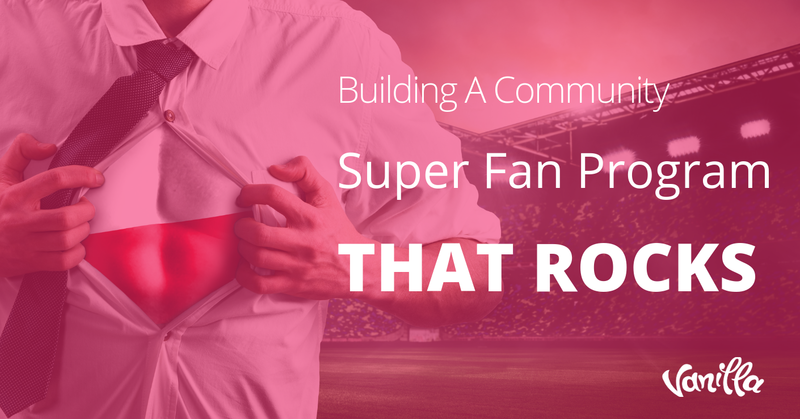 Roles – You’ve got community managers, brand ambassadors, super users, fans, newbies and trolls. Everyone’s got a different role to play and a certain set of expectations that go with it. These roles aren’t learned by reading community standards, but rather, by watching the example of those who already fill them. 3. 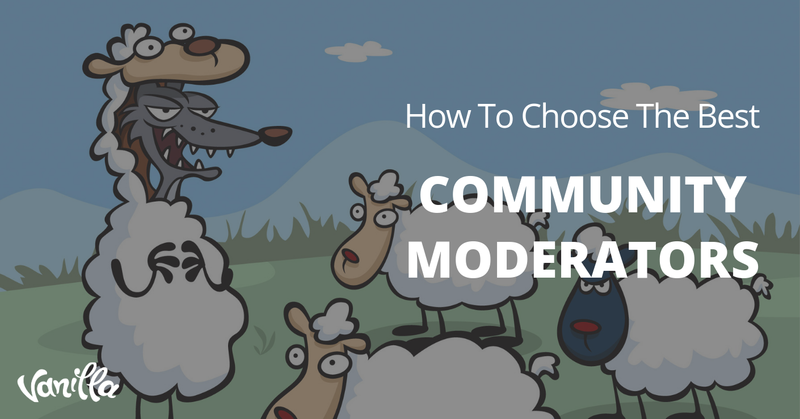 Moral and Behavioral Norms – When you jump into an online community, certain behavioral standards become clearer and clearer over time. When I played World of Warcraft, for example, I quickly learned that, when you’ve got 40 players gathered together for a raid, you don’t kick off a large battle before the rest of the group is ready. 4. Vision of the Good Life – Communities exist when people get together around a common passion. Even something as seemingly inconsequential as the love of knitting is enough to bring people together. Socialization isn’t just about learning your place in a community. It’s also about defining yourself, relative to that community. As a community manager, your job is to invite people in so they reinvent themselves in a relatively small, yet meaningful way. A few years ago, a team of computer scientists set out to analyze the specific ways people commit to online communities. They identified three factors that lead members to stick with their communities: affection, normativity and needs-fulfillment. These researchers discovered that affective commitment (a member’s desire to stay in the community) is largely based on identity. The study used members of the National Rifle Association as an example. When it comes time to pay annual dues, a member’s ability to identify him or herself as a member of the NRA is just about as powerful a reason to renew as any other. Because that membership card helps people answer the great existential question, “Who am I?” Whether you’re socialized into the NRA or, on the other end of the spectrum, the Coalition to Stop Gun Violence, communities help you discover and define who you are. It may not seem like it, but as a Community Manager, you’re constantly helping people discover themselves relative to your online community. If you take hold of that simple insight, it’ll radically transform the way you approach your work—from the content you generate to the conversations you pursue. Never underestimate the power of language. Think about it. If a pithy statement like “Yes We Can” or “Make America Great Again” can get a president elected, then a little extra attention to the words you use can radically transform your online community. What does this look like practically? Take a look at the discussions that’ve been going on over the past month around your brand. What specific topics are people addressing? Are you catching any buzzwords? Is there any brand-specific language you want to emphasize? What resonates the most with people? Take all those insights and distil them into a one-page style guide. From here on out, use that guide to shape and color the way you communicate with your members. It’s your new “brand language”. Especially with larger communities, you can’t possibly do everything yourself. From content generation to spam control, there are far too many moving pieces for just one person to handle. If you haven’t done this already, then you need to right away. If you've done it informally, then now is the time to make it official by attaching public titles to the people in your community who've taken up these tasks. A little recognition goes a long way. You can learn something about how to act at the office by watching coworkers and observing how management reacts or doesn’t react to their behavior. The same applies in online community. By observing other members, your people will learn what they can get away with and what they can’t. What happens, though, when two users exhibit the same type of behavior (swearing, harassment, etc. ), yet only one of them gets the boot while the other gets a free pass? That type of inconsistency is your first-class ticket to an unstable and unrewarding community experience. Don’t let it happen to you. Formulate a clear set of community standards and start enforcing them today. Then you’ll have a safe, stable environment for people to socialize into. To paraphrase an old Hebrew proverb, where there’s lack of vision, the community perishes. In other words, online communities who lose sight of their reason-for-being quickly dissolve into dead, meaningless online ghost-towns. If you’ve lost touch with your community’s central reason for being, take some time to rediscover what you’re trying to accomplish. What problem are you trying to solve for people? Why should people bother visiting your Facebook page today or following you on Twitter? We all drift off course from time to time. Making space for the occasional course correction will sync you back up with the basic needs and motivations that drive your community. Like I said in the beginning, human beings are made to belong. Online community is the digital realization of this basic sociological fact. 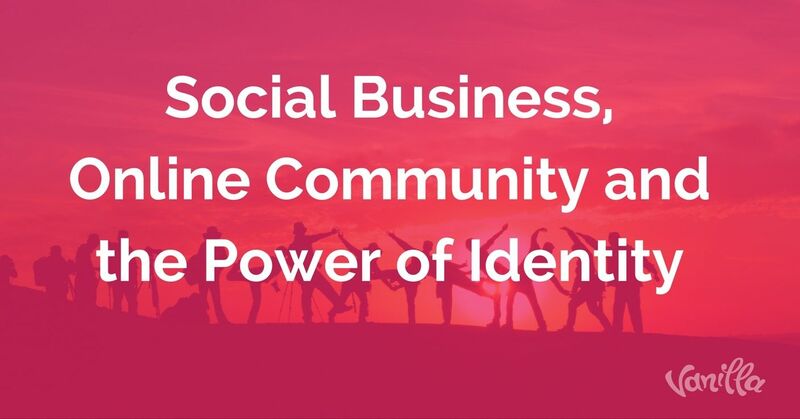 If you can grab onto the socialization process and tailor a space where members can rediscover and redefine their identities, then you’ll quickly become the most valuable asset in your marketing department.